Bebe's Bows is having a giveaway!!! Stop by, give our page a like, and comment what your favorite color is. 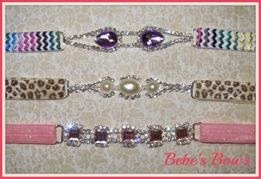 We are giving away one custom rhinestone adjustable headband. Cute for the little princesses, big sisters, or even mommy! Please be sure to share and tag your friends for additional entries. The giveaway will be open for 5 days. Thank you and good luck to everyone! !